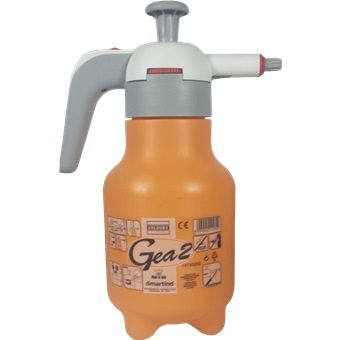 DIMARTINO COLOUR PRESSURE SPRAYER GEA 2 is rated 5.0 out of 5 by 1. Safety button: prevents accidental use and allows continuous spraying. Adjustable jet with safety lock. 3 Bar safety valve and end job pressure air pocket. Three modern Eye-catching colors and a contemporary design. 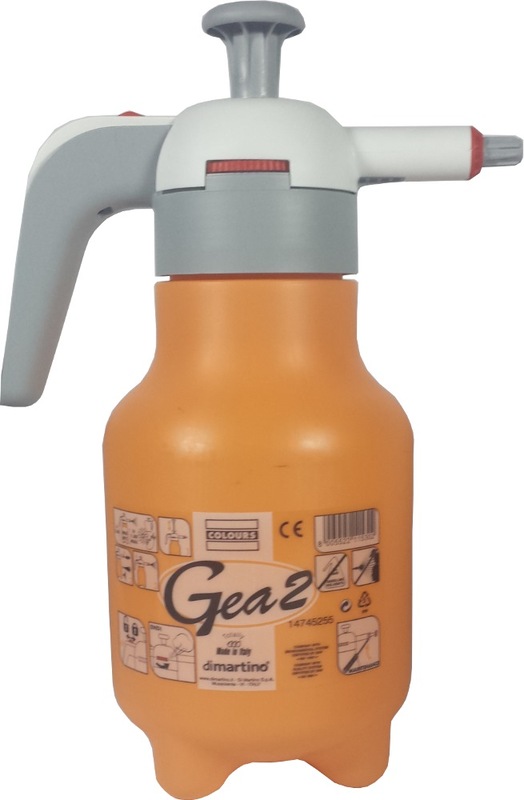 Rated 5 out of 5 by dobermanns from DIMARTINO GEA2 SPRAYER Made of high quality plastic parts, no corrosion problem. I had used it to spray highly corrosive air con cleaner/solvents with no issues. A high quality sprayer. Recommended!